Does this mean we’ve reached peak crowdfunding? 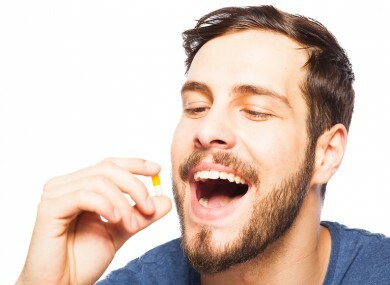 MALE ORAL CONTRACEPTION is a concept still in its infancy – particularly when compared to the female variety, which has been on the go for the last 55 years in the US. The male pill has been mooted for some time, but the popularity of condoms would prove a difficult monopoly to break given the other protections they afford. Still, a team of Americans are trying to reverse the trend. And they’re funding their approach via crowdfunding. The group, known as the Male Contraception Initiative (MCI), has launched a crowdfunding effort on Indiegogo. They’re recommending a proposal by Dr Gary Flynn of Stanford University, California. His approach is targeting a protein unique to the male testes which is “critical to the proper production of sperm” according to a release by the group. The “non-hormonal nature” of the drug Flynn et al are developing suggests a “low risk of side effects” apparently. Mind you, they would say that wouldn’t they. It also seems that the funding appeal has a ways to go – just 10% of the MCI’s target has been collected thus far, with 21 days of the appeal remaining. Email “These guys are crowdfunding the answer to the male contraceptive pill”. Feedback on “These guys are crowdfunding the answer to the male contraceptive pill”.